Early-morning rituals for contentment, clarity and purpose. 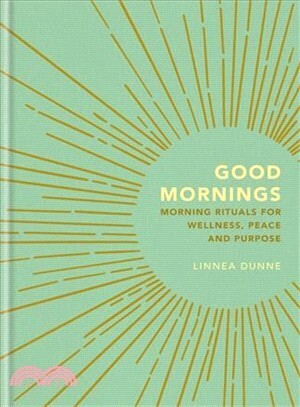 In this inspirational guide, Linnea Dunne, bestselling author of Lagom: The Swedish Art of Balanced Living, shows how building a life-affirming ritual into your morning routine is an act of self-care that can benefit both your physical and mental health, enhance your productivity and positively influence your day. Whether it's a dedicated yoga practice at sunrise, mindfulness meditation just after waking, journalling while you sip your morning coffee, or listening to birdsong in the back garden before you tackle your daily commute, a morning ritual can enhance your health and wellbeing, and bring increased contentment, clarity and purpose to your day. With countless ideas for nourishing morning practices and invaluable advice on how to create a morning ritual that is unique to you and takes your individual needs, circumstances and time constraints into account, this book will help you to make the most of the peace and promise of the first moments of every day. Linnea Dunne was born and raised in Sweden, where she started her writing career as a columnist at the local newspaper aged 15. She left for Ireland a few years later and eventually moved to London, where she studied Creative Writing and Political Communications. Linnea's work on subjects ranging from motherhood to women's rights and media narratives has been published by (among others) the Irish Times, the Guardian and the Irish Independent. She also works as Editor of Scan Magazine, spreading the word about all things Scandinavian, and is the author of Lagom: The Swedish Art of Balanced Living (2017). Linnea now lives in Dublin with her husband and two kids. Juggling life as a work-from-home freelance professional with motherhood and countless creative projects, and inspired by her husband who gets up early to meditate every morning, she recently took up daily yoga and set out to find out how a good morning ritual can contribute to a sense of peace and purpose.